Since I'm stepping up and starting to be active on the message board I wanted to start a thread with some potential locations in the Tri-Cities area. This first post is the best location that I have seen and I think it could be a good fit minus the three dang light poles. This may be a pretty good location. We even have the possibility of running for charity and exposure for the good deeds they do. Unfortunately that lot is pretty small for autocross and the light islands make it effectively too small. I seriously considered buying that building to setup a rental kart business, but the outside lot needed a lot of work - and then 2nd Harvest bought it. Yep, if there were no poles, it would be a good spot for a school or something, but we have to be 25 ft away from poles and curbs, per safety regulations, so it just isn't workable. thrdeye wrote: Yep, if there were no poles, it would be a good spot for a school or something, but we have to be 25 ft away from poles and curbs, per safety regulations, so it just isn't workable. Ok - design a course (that people will actually want to drive) that keeps all of the poles and islands to the inside of the turn like Pelli. We probably do fudge it by a few feet, but the poles being on the inside of the turns make it a non-issue. I think the poles are pretty well a non-issue, but the islands at Pelli and especially at Smokies with the distance to the edge curbing could be much better. 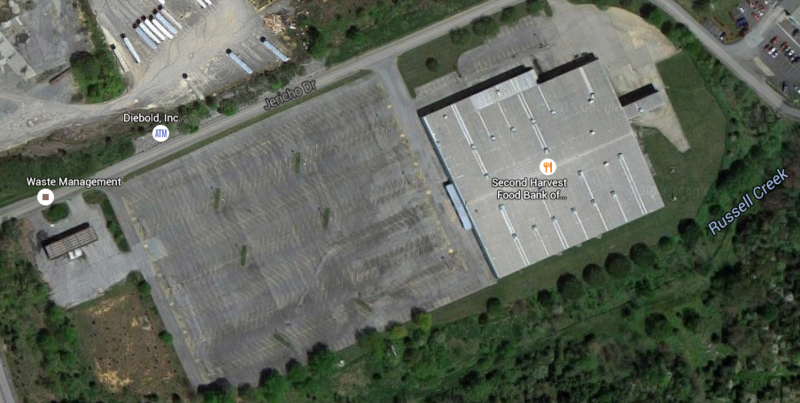 If the KMart in Johnson City ever closes, that lot would be very large for us... Noise may be an issue with houses nearby, but something to watch for since KMart just announced a bunch more closures. Is there any pavement yet at that development site at the intersection of I-26 and I-81? I heard the latest proposal is for a large multi-dealership car lot. I haven't seen any activity up there at all. Don't think there's any money left to do anything until they get a few big signings. Scoob wrote: I haven't seen any activity up there at all. Don't think there's any money left to do anything until they get a few big signings. They did a lot of grading, but I wasn't sure if there was any pavement. I haven't tried to access the site to take a peek. Maybe this week. No pavement there. Would be awesome for a RallyX. Thanks for the confirmation, Mark. Somebody should tell them to build a decent lot. That's on the wrong side of the state line for ETR, but does bring up an interesting point about the merger of Bass Pro and Cabelas. One would think one of the two would close since they are only 10 min apart. Either of those lots would work as a backup for autox. There are lots of islands in each, though.